“Just go faster, Jeff,” my track riding guru Ken Condon says after asking him what I need to do next as a track day rider. I am flattered, because Ken says that my track form is very good. He says that I am on “the line,” I am riding predictably and smoothly, and my body position, while I am sure it can be tweaked, is getting much better. However, I am also befuddled because I wish it were that simple to “just go faster.” The problem is that each time I enter a turn faster than before, alarm bells shriek in my head, and adrenaline courses through my system. 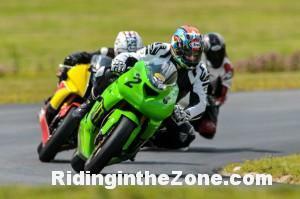 A voice screams “You are going waaaaay too fast for this corner! !” I am terrified. 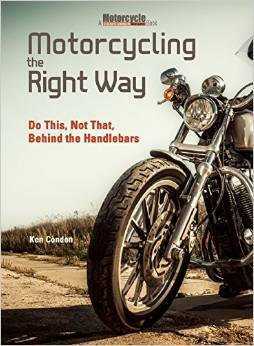 Ken tells me that a faster pace is the result of good technique and consistency. So, I discipline myself to look farther down the track, keep maintenance throttle, relax my hands and upper body, and make my bike lean a little farther, all while being mindful not to move too much so that I don’t upset the suspension or cause tire slip. It’s a balancing act, a tightrope on two wheels. I am terrified, and yet I am so happy at the same time. I’m not exactly a rookie to track riding. I have done fifteen track days total, all with Tony’s Track Days. Up until now, I have spent my time in the novice (Red) group, often debating whether I was ready to bump up to the intermediate (Yellow) group. I decided to stay in the novice group longer than I needed to so I could cement the basics and eliminate bad habits at relatively slower speeds. I also wanted to learn how to pass safely and courteously. My ego didn’t like it, but I kept telling my ego to shut the hell up because my body didn’t want to pay the price of crashing. It worked. I am now a solid “Yellow Rider” and feel confident that I am there with the appropriate skill set. Ironically, “yellow” is an appropriate description for my current level since fear is now the main factor holding me back from going faster. Over the next several track days, I plan to fine-tune my form, push myself against that fear barrier, and (hopefully) build confidence each time so that I become consistently faster. My goal is to bump up to the Advanced (Blue) group, and who knows, maybe to the Super-advanced (Black) group someday. Jeff Meyers is the newest guest blogger to the RITZ team. Jeff is a self-described middle-aged sport bike and track day dog. He has been riding for almost 30 years and, like many folks of his vintage, was taught by his friends. He is amazed to still be here given what he did at a young age on a motorcycle with such little skill and such a need for speed. 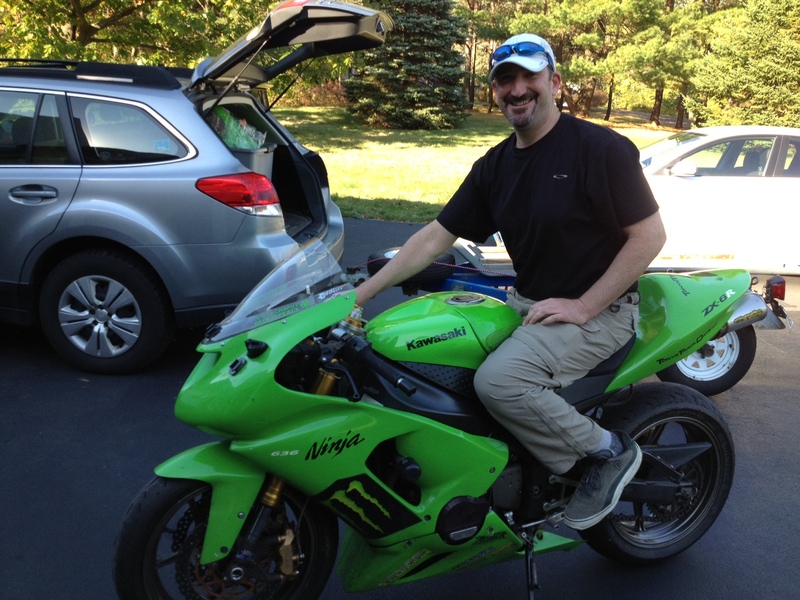 He is a lawyer at his “real” job, but also is a part time Motorcycle Safety Foundation Rider Coach and has had the privilege of working for Suzuki assisting in running demo rides, mostly at the Americade rally in Lake George, New York. 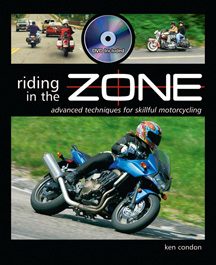 Jeff loves to learn, especially about riding motorcycles. Thanks, Jeff. I’m sure you will meet your goal of moving into the faster groups. Just continue to take the time you need to get there. What are your riding goals? What holds you back from accomplishing them? Hey Jeff! Your time will come if you want it. Focus on the fun and not the fear. So nice to see you’re still out there playing. Gumby’s Rule! Thanks Judy! Great to hear from you and glad you read the article. Yes, this is excellent advice – focus on the fun. And so much fun it is! !